Haynes Immigration Law, P.C. offers personalized and confidential legal representation in the areas of immigration and naturalization law. We appreciate that the United States is a country founded upon the courage and hard work of immigrants. Today, our country’s economic, social, and political opportunities continue to attract hard working and hopeful immigrants from around the world. In an effort to balance the requests of millions of immigrants wishing to enter the United States with the need to keep our nation safe, the United States government has passed more restrictive immigration laws to regulate the comings and goings of international visitors and immigrants. Even so, foreign nationals are still able to enter this country through a variety of immigration visas and non-immigrant visas. Before you try to navigate complex U.S. immigration laws yourself, please contact Haynes Immigration Law, P.C., for a confidential evaluation of your case. Jon M. Haynes, Esq. is the founder and managing attorney of Haynes Immigration Law, P.C. 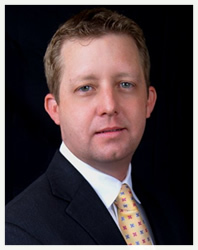 Mr. Haynes focuses his practice exclusively in the areas of immigration and nationality law. He was born and raised in San Antonio, Texas. Mr. Haynes is a graduate of the University of Texas at San Antonio and he received his law degree from St. Mary’s University School of Law in San Antonio, Texas. 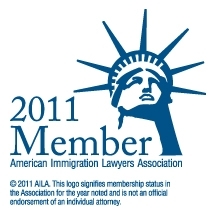 Mr. Haynes is a member of the American Immigration Lawyers Association and is licensed by the State Bar of Texas. Whether you have questions about a green card, travel visa, permanent residence, employment eligibility verification, or deportation, an immigration lawyer from Haynes Immigration Law, P.C., can provide you with competent, confidential, and knowledgeable legal advice.